You can now download iOS 10.2.1 final version IPSW links for compatible iPhone, iPad and iPod touch devices. 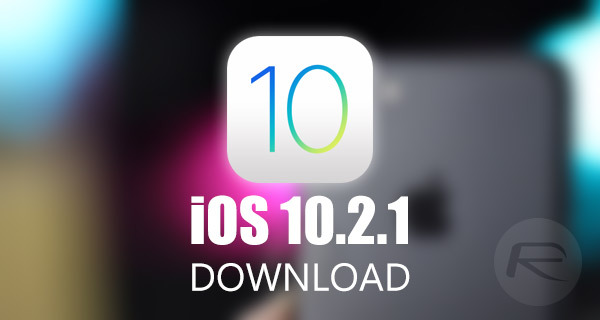 After releasing as many as four individual pre-release seeds to both registered developers and public beta testers registered on the Apple Beta Software Program, Apple has now deemed iOS 10.2.1 ready for global consumption for all iPhone, iPad and iPod touch users, making it available as an over-the-air download as well as iTunes download with immediate availability. With iOS 10.2.1 following hot on the heels of the public release of iOS 10.2, as well as the fact that it’s a relatively minor point update, it’s logical to assume that it contains nothing more than a number of bug fixes and security enhancements that looks to push iOS forward as a platform. Apple did take the opportunity to release some early release notes with initial betas of iOS 10.2.1, indicating that a small change had been made with the new TV app, as well as the new SOS mode that was first introduced with iOS 10.2 to appease a new legislation introduced in India requiring all smartphones to have a panic button option to call emergency services. Those small things aside, iOS 10.2.1 is all about providing a better user-experience, fixing bugs that have been found since the launch of iOS 10.2, and generally making the platform a lot more secure for all individuals choosing to run iOS on iPhone, iPad or iPod touch. 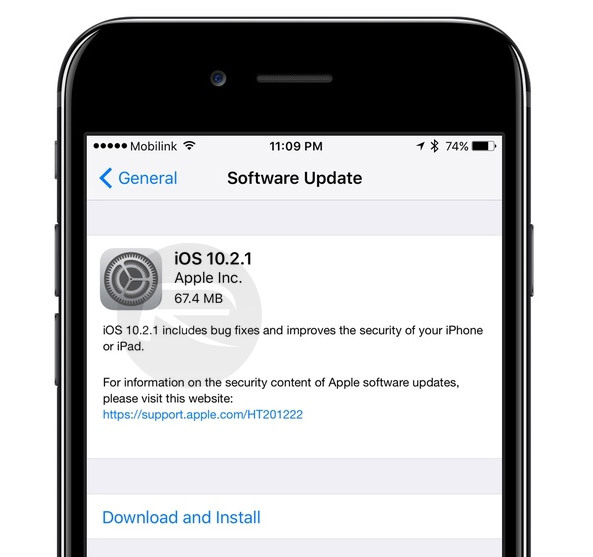 Anyone with a compatible iPhone, iPad, or iPod touch, who may have been experiencing difficulties with iOS 10.2, or who simply wants to be on the latest revision of firmware to class themselves as up-to-date and current, can head on over to the Software Update mechanism in the Settings app (General > Software Update) to grab the 10.2.1 update as an over-the-air download. Alternatively, if you have been experiencing difficulties with your device, or simply see a refreshed version of iOS as an opportunity for a fresh beginning, then you can download the iOS 10.2 IPSW file for your device from below and install a fresh copy using iTunes.